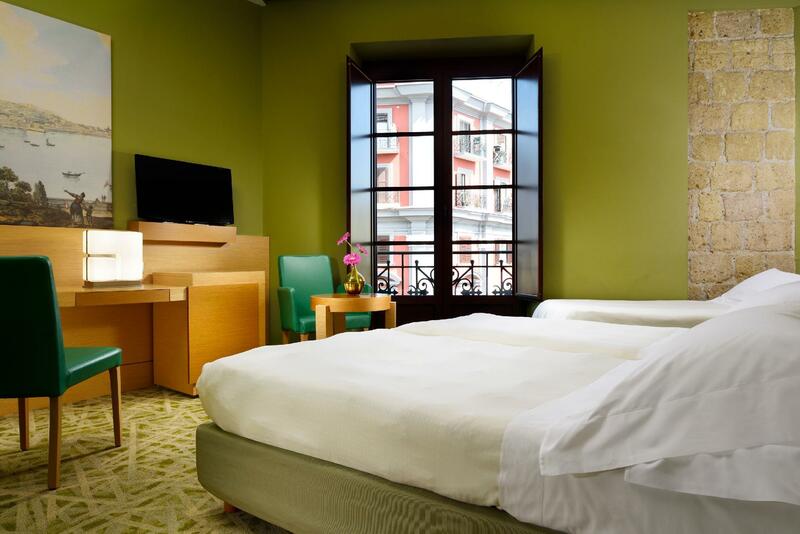 "This is an excellent value hotel, especially for the travele..."
Have a question for UNAHOTELS Napoli? "Conveniently located to the main subway good value for money Hotel was clean offered an excellent breakfast included in the price." "The staff are brilliant nothing too much touble lovely roof terrace and breakfast was excellent very fresh food and great choice." "Room was comfortable with a good bed and linens and solid WiFi." 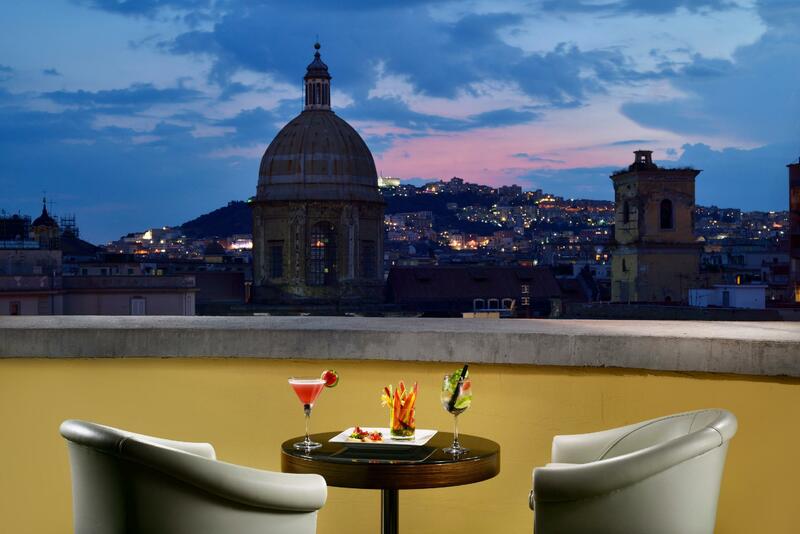 This luxurious hotel in the historical center of Naples provides a calm oasis from the hustle and bustle of this chaotic city. 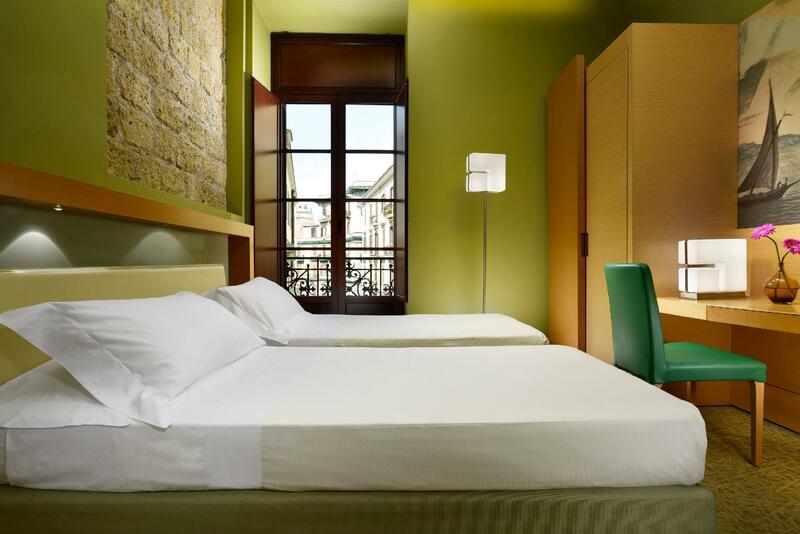 UNAHOTELS Napoli is housed in a late 19th-century building, a contrast to the modern amenities within. 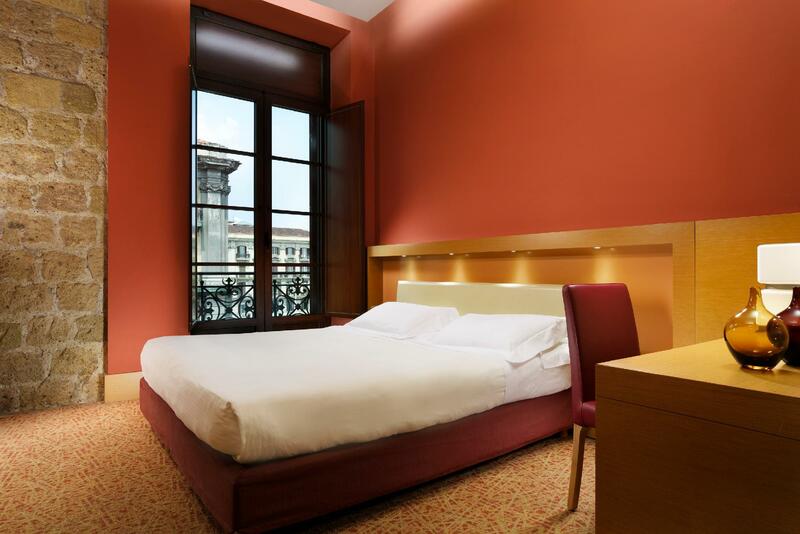 The hotel is within walking distance of the Central Railway Station, a fantastic location for exploring Naples and surrounding areas. The Circumvesuviana line that connects to Pompei and Sorrento is also close by. On-site dining is offered at the UNA Restaurant, serving traditional Neapolitan and Mediterranean dishes. Wine lovers will find the restaurant's extensive wine list a true delight. UNA Cafe serves cocktails, and in the summer, guests can enjoy their drinks while overlooking the city. 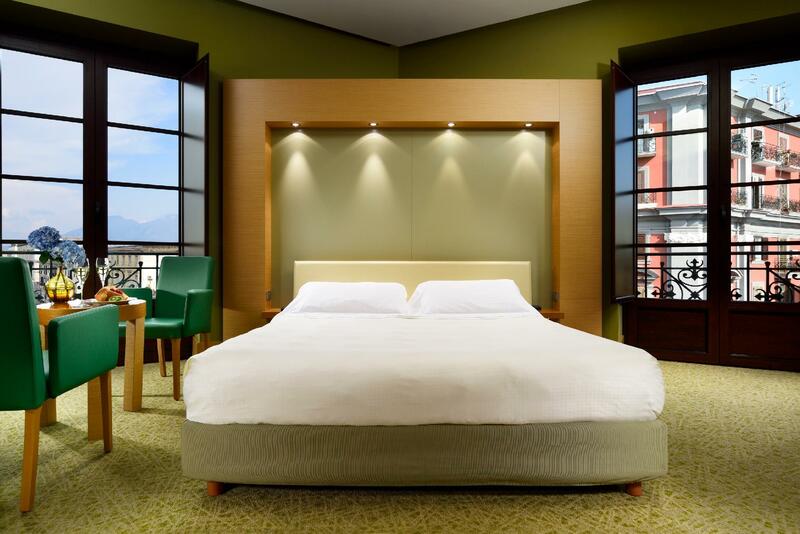 The UNAHOTELS Napoli comes highly recommended by its guests for a touch of luxury in a chaotic city. "Clean, cozy, nice rooftop for breakfast"
Private parking is available in the area and costs EUR 20 a day. Area is a bit seedy and has many homeless we were greeted police with guns drawn looking for someone as we walked out of the local recommenced restaurant in front of the hotel, i found the staff not accommodating as we were told that breakfast was closed as we wanted some water at 1030 after finishing our breakfast meal yews breakfast closes at 10:30. we were waiting for the train upon our check out were the restaurant was closed and pick up some pizza and although we were sitting in the roof top area were told we could not eat at those tables which are used for breakfast? when asking directions to local area the desk staff seemed annoyed with me question of were to walk as i was repeatedly told just go right to center city which we never found. + Location , 200 m from Naples Cetral Station and 100 m from Metro Station (L1). Additionally there are many bus just in front ... + Breakfast is very good. Mozerella , vegetables, good coffee etc. + spacy and clean room - No cattle inside the room. It is an handicap for a 4 stars hotel . 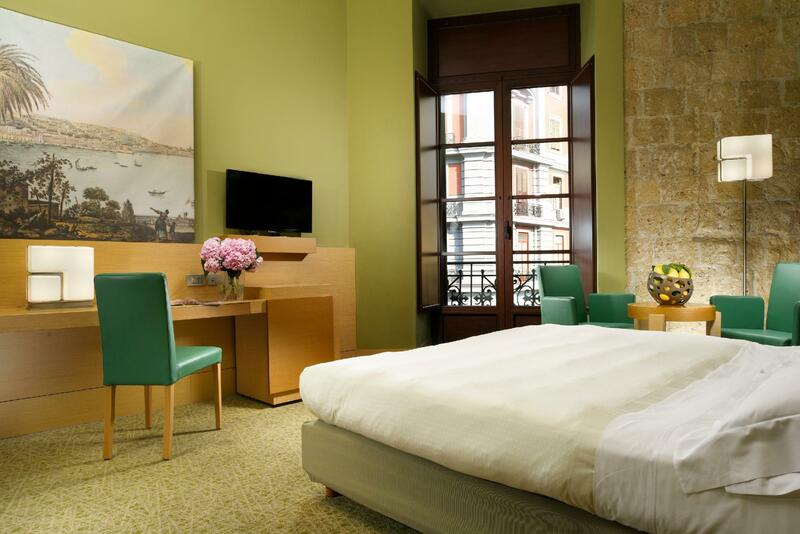 This is an excellent value hotel, especially for the traveler who wants to be able to walk across the Piazza to the metro or regional trains. Great hotel staff! Front desk, breakfast, housekeeping, porters all appeared to enjoy their jobs. Room was comfortable with a good bed and linens and solid WiFi. 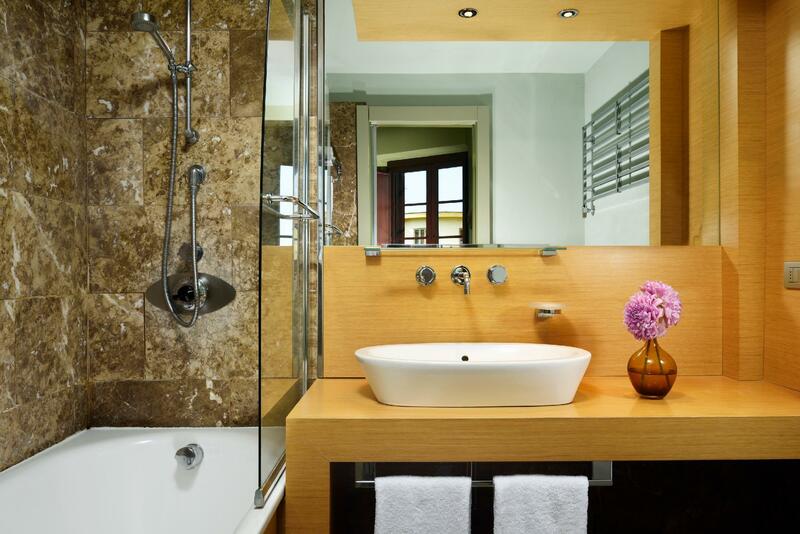 Nice bathtub! I’d stay here again. Monica at Reception is exceptional good, she made all endeavours to satisfy customers! But male managers are a bit cold shoulder! Only problem was very noisy at night , not in the hotel but outside with constant caveman style horn blowing from cars throughout night. This resulting in keeping windows etc on lock down and not getting any comfortable ventilation. The hotel is on the busy Piazza Garibaldi so traffic noise can be an issue at the front of the hotel however we requested such a room with a balcony. The triple glazing works well though so got a good nights sleep and the aircon is good so although we visited late February I don't think you would need to open the windows. The staff are brilliant nothing too much touble lovely roof terrace and breakfast was excellent very fresh food and great choice. If you walk over the road the airport bus is opposite as i the underground and Circumvesuviana to get you to Herculaneum Pompei and Sorrento. Underground 1 euro and under 3 euros to get to ruins Will definitely be going back in the future and staying here again. Thank you!! Though location of the hotel is near the train station and easy to find, but the neighbourhood is not exactly tourist friendly, with hoods of unsavoury characters always loitering at its vicinity. This makes it unsafe for guests to come back at night. The hotel facilities are not to par, we were made to change rooms because the lights are faulty, not even apologies were given. Breakfast food was mediocre and the bread taste stale. On the whole, we had a bad experience with them, and will not return. Excellent Hotel with great facilities. Rooms great and public areas great. Rooftop bar brilliant. The room is great, big enough, close to the Napoli Centrale station which only less than 10 mins walk, but doesn't have many great restaurants choices around it. One of their staff serviced us is toooooo slow and not that friendly, it took us over 30mins to check-in, the other staff in the reception had finished 4 guests in the same time with the Napoli travel introduction. The rooms were spacious and sound proof even though there's allot of action outside. The only problem was the restaurant was understaffed for the number of guests they had. The hotel was amazing. The location was perfect due to the location by the train station. I was worried about the noise and the large windows; however, the heavy wooden indoor shutters dampened the noise and did not allow light into the room. The hotel has good food; however, there are plenty of small eateries around the hotel. clean, comfortable, modern room with balcony overlooking frenetic city life. Wonderful breakfast and good restaurant. convenient for business and training station. Enjoyed staying there. Couldn't fault it. The area isn't great – there didn't seem to be any good bars or restaurants nearby. However the room were really nice. The only issue was the noise – our room looked out onto the square and there was a lot of noise from traffic etc. Conveniently located next to Napoli Centrale train and metro stations, however not the best spot for experiencing the atmosphere of Napoli as the area around the station is pretty dirty and noisy with too much car honking. Room was clean, breakfast was nice. Staff was helpful. good location. and no more good things... only a few staff know English, it is not easy to communicate if you didn't know Italian.